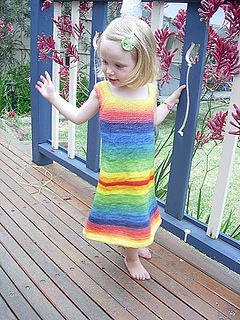 The Rainbow Dress is designed to fit with negative ease, that means that the finished size will be smaller than actual chest size. 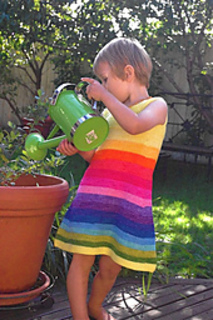 This element of the design ensures a good fit, yet still allows plenty of room for movement and growth. 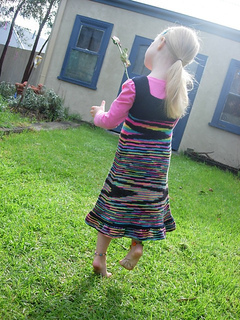 My daughter has been wearing the same dress for over three years. 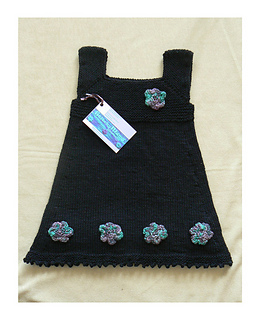 To achieve the best fit for this garment choose sizing based on chest size, not age. 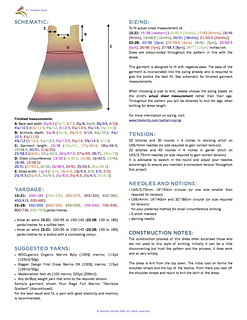 Size down if between sizes rather than up. 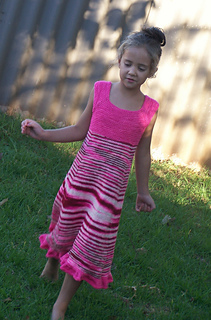 This dress is designed to be a seamless knit. 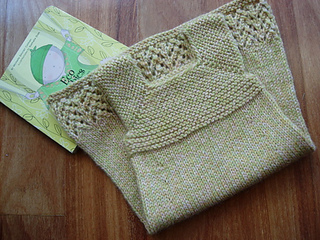 It is knit entirely in the round on circular needles from the top down and requires no seaming. 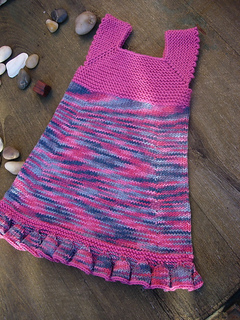 It is a perfect knit for the beginner wanting to tackle circular needles as well as being a fun knit construction and option wise for the more experienced knitter. 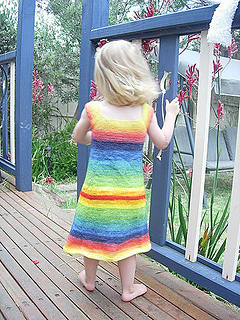 It was originally knit for my then two year old daughter to showcase beautiful rainbow gradient dyed yarn from the yarn cafe. 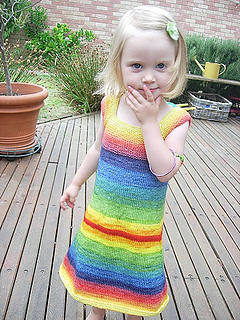 As you can see it works just as well with variegated or plain coloured yarns. 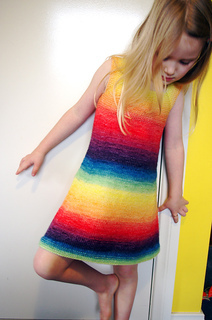 In essence, the rainbow dress is a simple dress with simple clean lines. 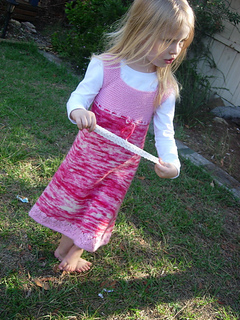 You can leave it plain to let your beautiful yarn sing or you can dress it up.